Classic Dolomites climbs. 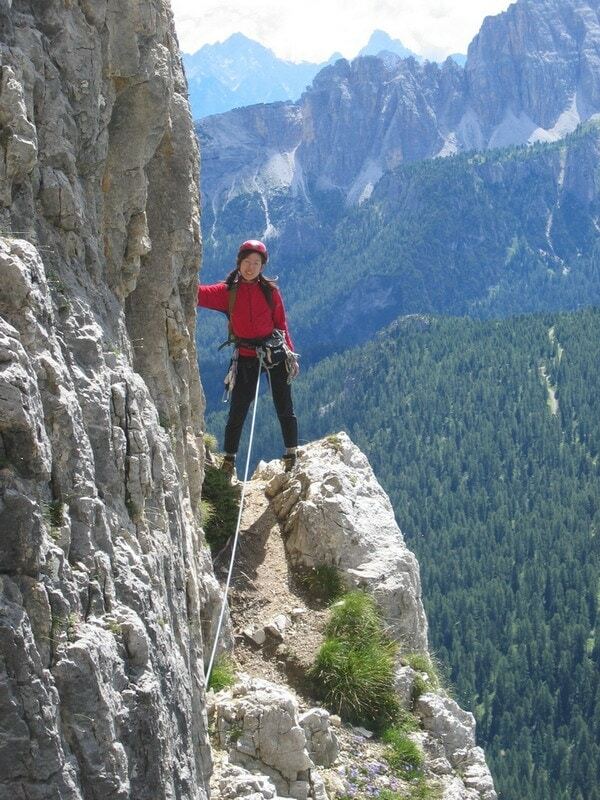 Recommended climbs around Cortina. 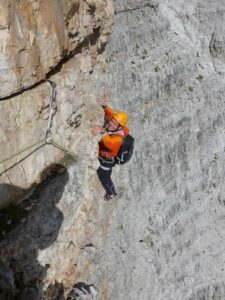 Lots of people who comes to the Dolomites are searching for trad, sport climbing and via ferrata guidebooks. 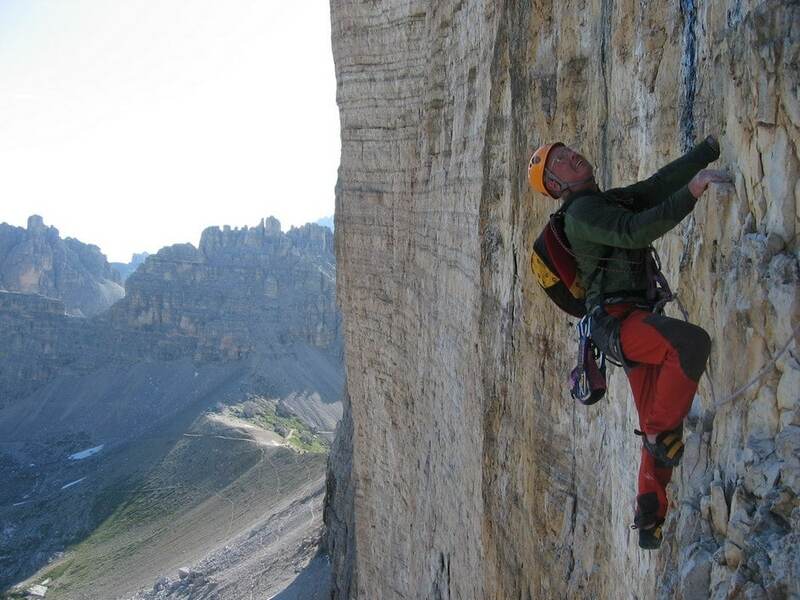 I recommend this book to English speaking climbers: “The Dolomites Rock Climbs and Via Ferrata”, published by Rockfax. For the first time a guidebook covers all three and is undoubtedly a good choice for people who want to discover the endless climbing variety that the Dolomites has to offer. Read more about the guidebook here. Below there is a list of the most popular (and beautiful) climbs in the area of Cortina d’Ampezzo. For the trad routes the grades are the UIAA grades, which go from I to XII and for aid climbing, grades from A0 to A4 are used. Click here for the rock climbing grades conversion. The Miriam is a classic, and it let you take confidence with the Dolomite rock. Due to thousand of climbers climbed this route the rock is polished, anyway I think climb this route is worthwhile. The Cinque Torri are, by definition, everyone’s “gym”: for alpinists and sport climbers, for beginners to experts alike. 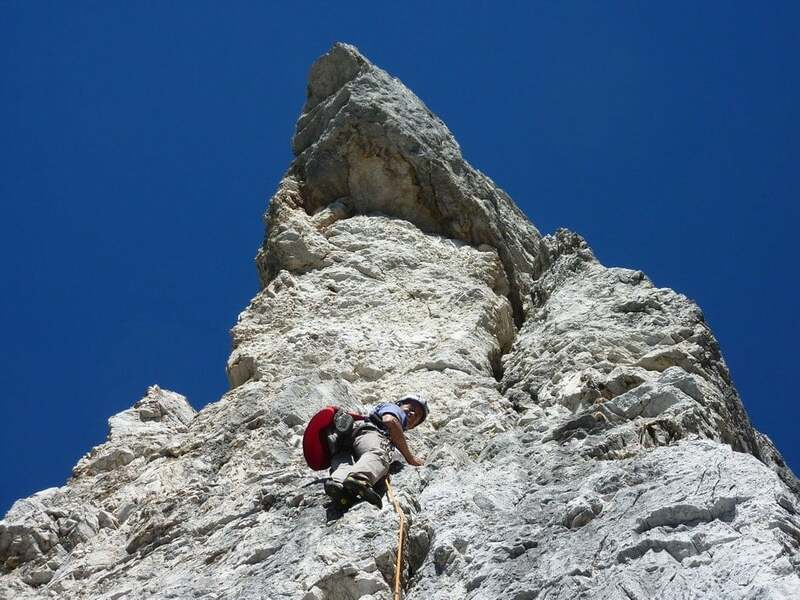 It is on this jewel, made up of the most diverse boulders and towers, that the alpine season is prepared, that the “engines are revved” before climbing the massive walls nearby, such as the Tofane and Lagazuoi. Gear: a set of wires, friends. Beside, a video made by my friend Anthony Cadorin. 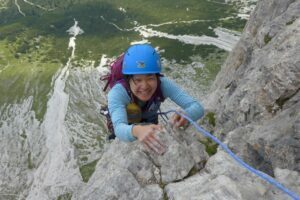 This route climbs a peak located in wild and very attractive site, and it is never too crowded, unlike the most famous climbs of the Dolomites. Gear: a set of wires, friends and plenty of kevlar threads. 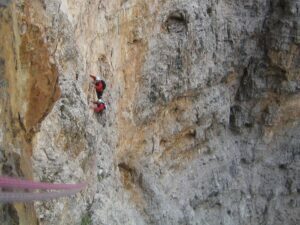 Note: the only difficult section (V) on the first pitch can be avoided by starting 20m to the left and climbing up the series of small ledges directly to the first stance. It is renowned for its beauty and excellent rock, and it too can be climbed early and late in the climbing season. The harder pitches are well-protected. Gear: a set of wires, friends and kevlar threads. Descent: 1 rappel + hours 0.30 on easy rocks + 0.20 to the “Restaurant Da Strobel”. Gear: a set of wires and kevlar threads. Note: the two last pitches are a surprise. 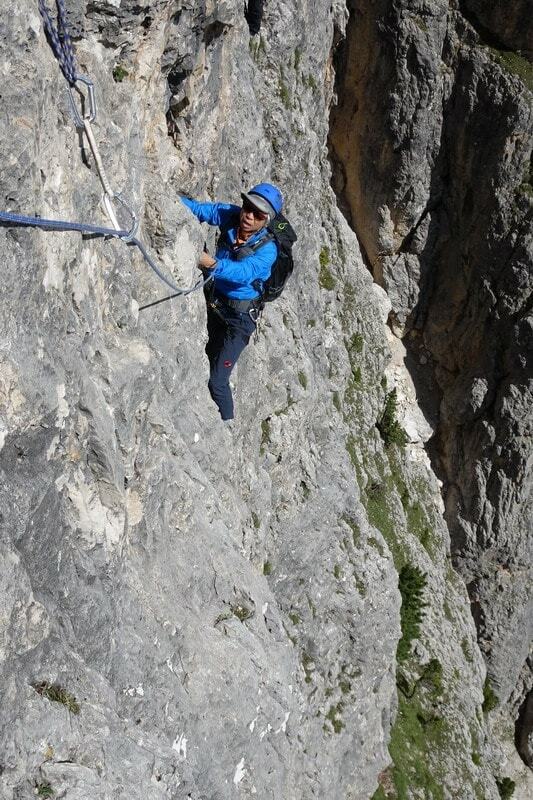 This is one of the most interesting and popular climbs in the vicinity of Cortina. It tackles the cracklines up the Punta Fiames’ obvious, airy arête. The view opens onto the Ampezzo valley is without equal. Gear: a set of wires, friends (medium-large size) and kevlar threads. Note: really nice edge climb. Note: start early morning, often the route is crowded. The first pitch is difficult, too, but can be avoided by climbing an easier variation to the left. 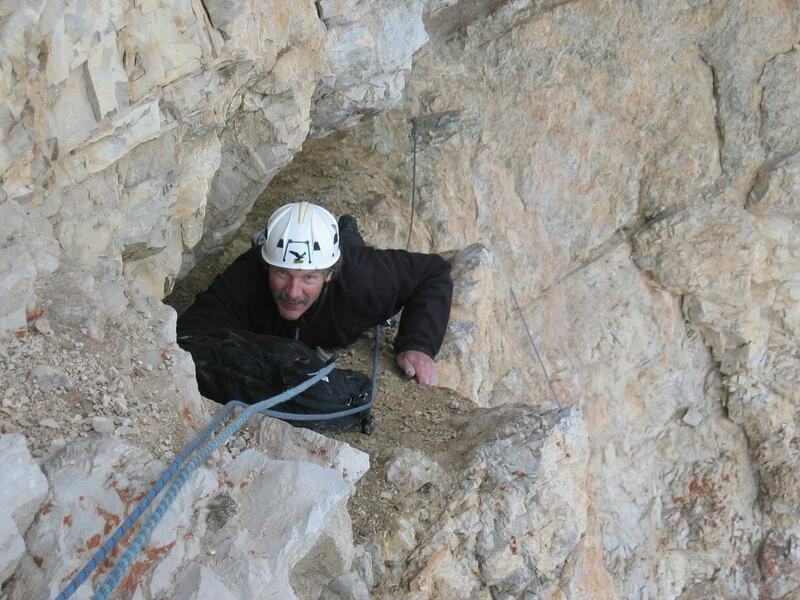 All the climbers who watch south wall of Rozes want climb it, at least once in their lifetime. Great route, open over a hundred years ago! 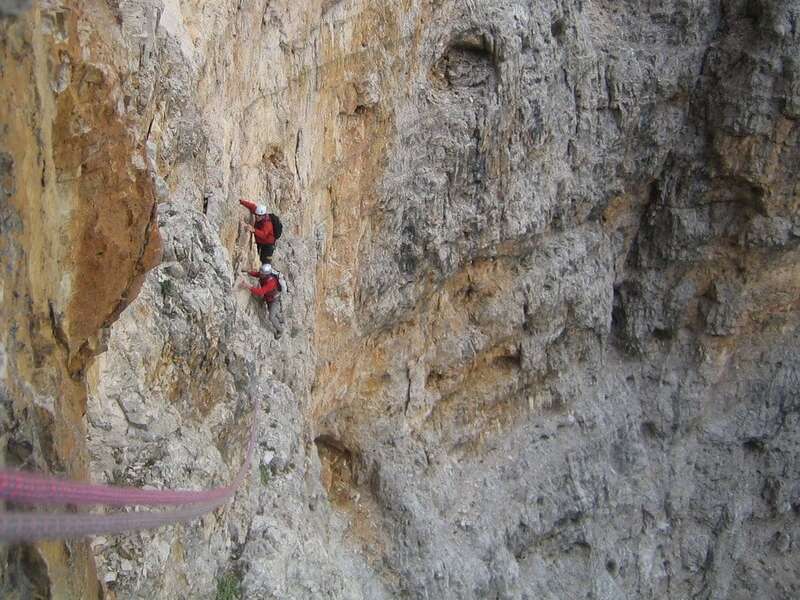 Although some sections are very easy, the route is never trivial. Do you want to read a true story? Note: very long route in heart of Tofana di Ròzes. Not easy to find the right way. Note: a Ettore Costantini masterpiece. Good shape required. This is one of the classic outings in the Dolomites. Great intuition enabled the first ascentionists to work their way up this immense overhanging wall. 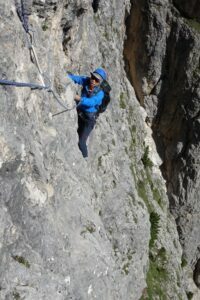 Note: historical route by the “Squirrels of Cortina”. 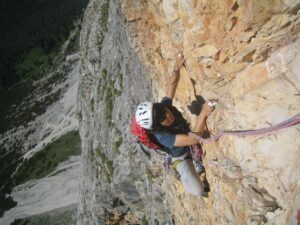 The crux is a delicate cross to the left, at the end of the fourth pitch. Every year hundreds of climbers flock to the Spigolo Giallo. Few routes have such a perfect line, and few routes get quite so crowded. Known by climbers all over the world, the Yellow Edge does not need comments, just watch it. Note: it is best climbed out of season and preferably avoided at the weekends. Via Comici is the classic example of climbing in the Dolomites. A climb of all respect, that must be climbed by only experienced climbers. In bad weather it is very hard to get off from the wall, where the chimney become real rivers of water. Note: a real exploit of the three climbers. The first half is very demanding and should not be underestimated.